For other people named George Carroll, see George Carroll (disambiguation). 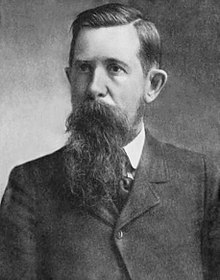 George Washington Carroll (1855–1935) was a Texas oil and lumber businessman, and longtime advocate for the prohibition of the sale of alcoholic beverages. In 1904, he was nominated by the Prohibition Party as their nominee for Vice President of the United States, alongside Silas Comfort Swallow. "Carroll, George Washington," courtesy of the Handbook of Texas Online, at http://www.tshaonline.org/handbook/online/articles/fcacb. This article about a Texas politician is a stub. You can help Wikipedia by expanding it. This page was last edited on 16 February 2019, at 09:30 (UTC).